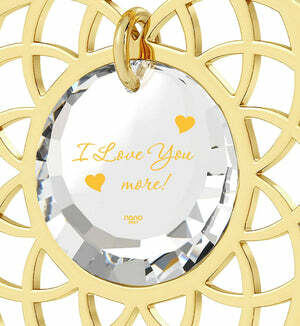 I Love You More Gifts for Girlfriends. 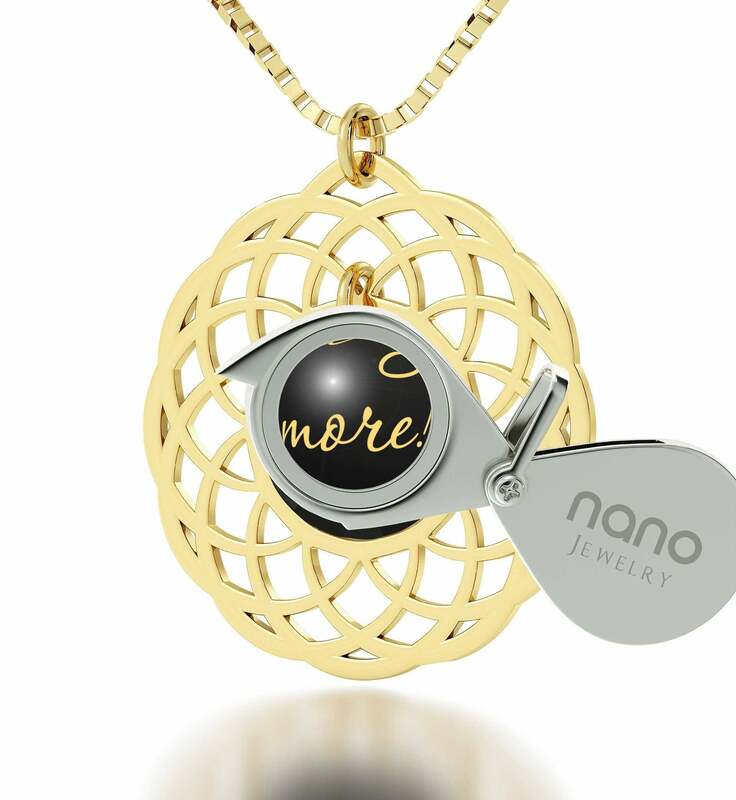 Thrill Her with Nano Jewelry! 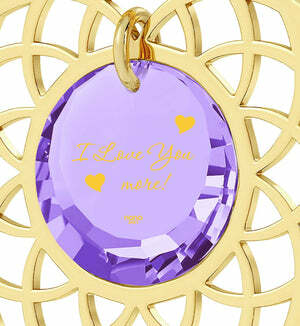 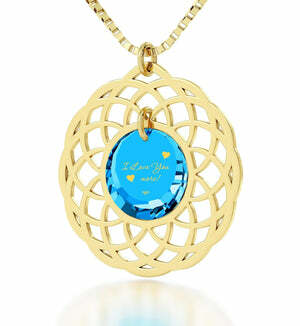 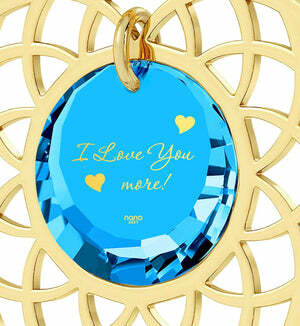 Tell her you love her more than yesterday with this meaningful jewelry! 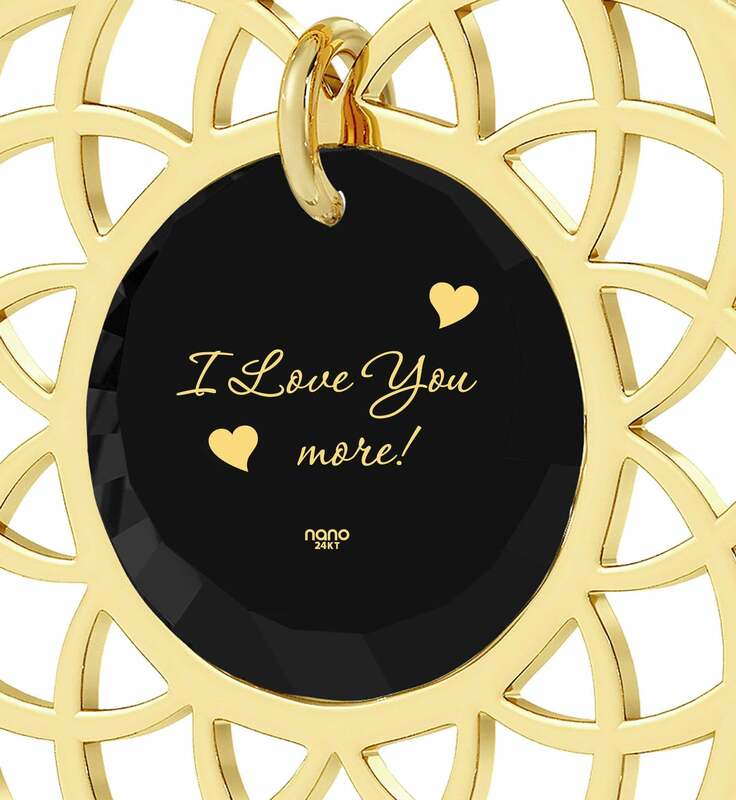 The best presents for girlfriends needn’t be terribly expensive or elaborate, but the ones that bring out the most in both you and her are always personal, elegant and thoughtful. She’ll want something to be proud about, and to be proud of you for knowing her well enough to care. 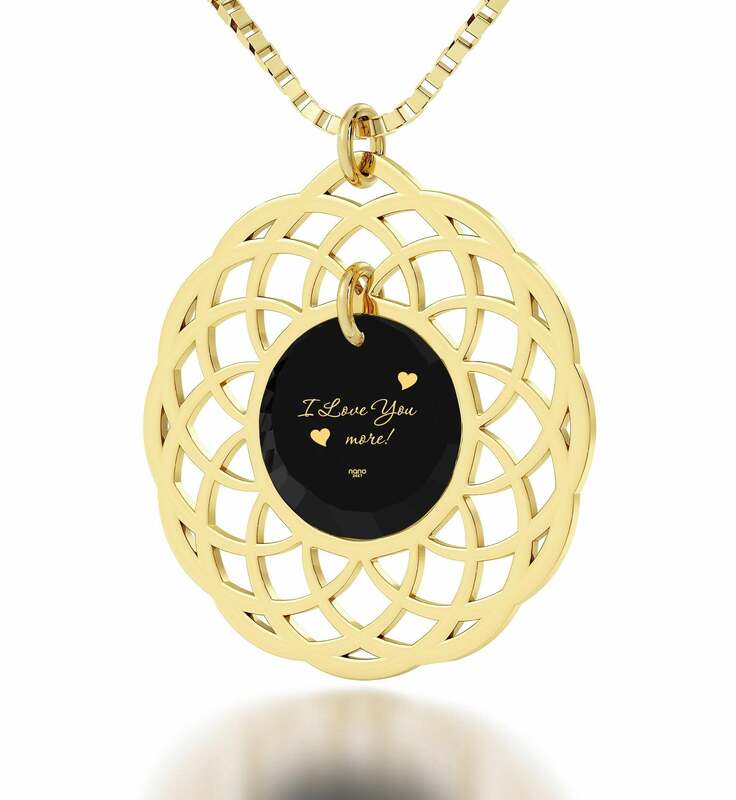 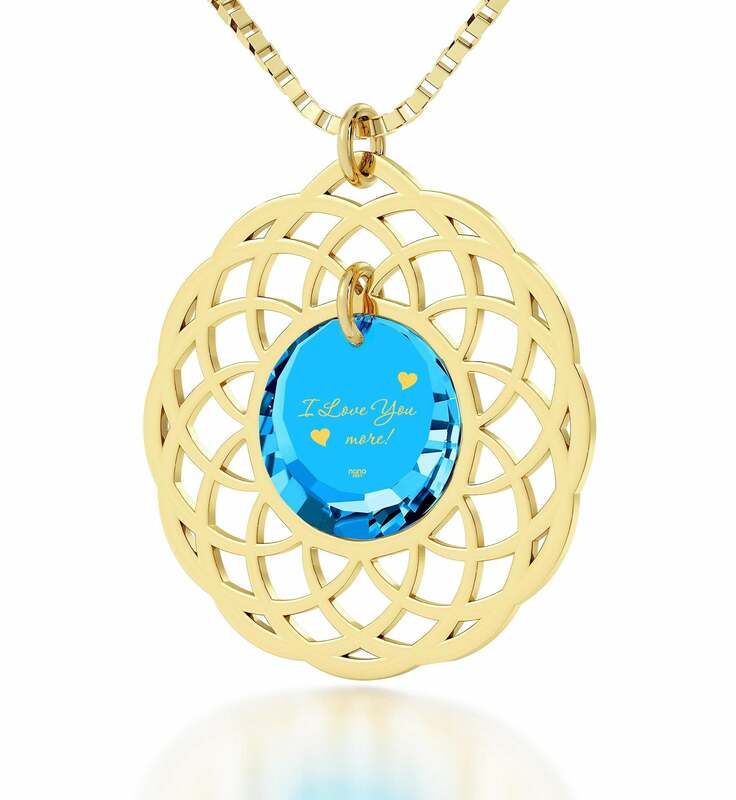 There’s no need to look much further, because this beautiful necklace is the perfect I love you more gift for any occasion, or just because! You might not be convinced by just looking at it, but she will be as soon as its gold filled chain touches her neck. 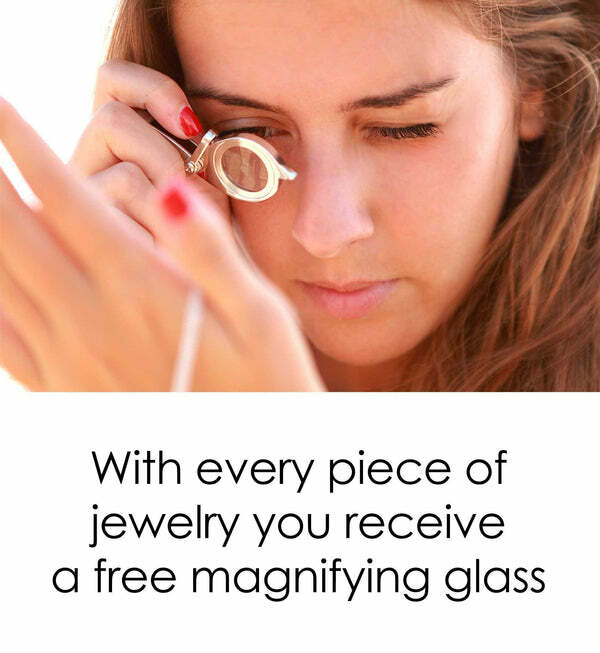 That’s not even the best part! At the heart of its finely-crafted mandala frame lies a luminous cubic zirconia gemstone. 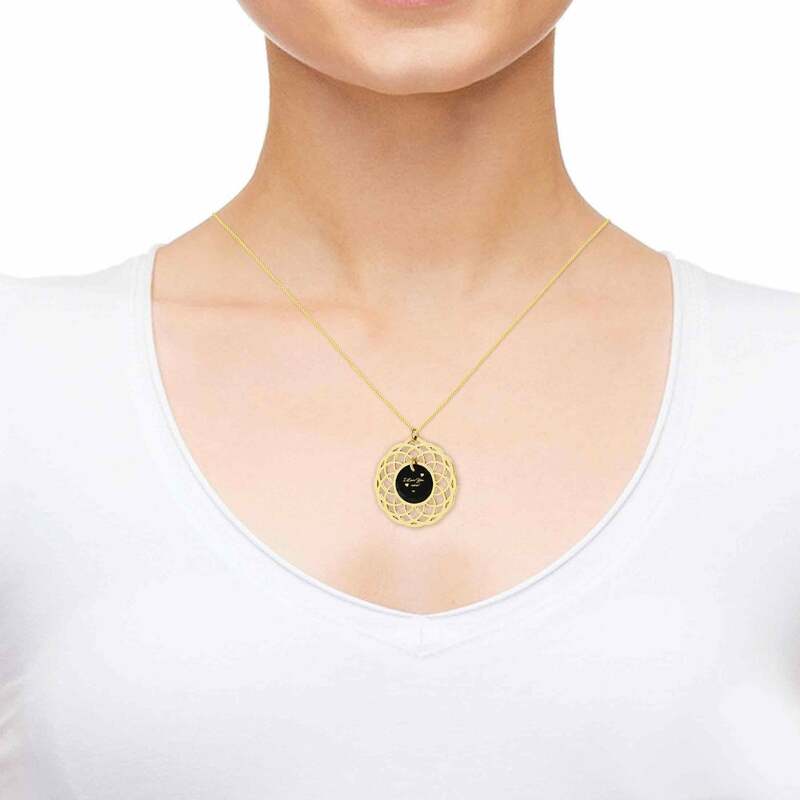 On it is an imprint of pure 24 karat gold like you’ve never seen before. 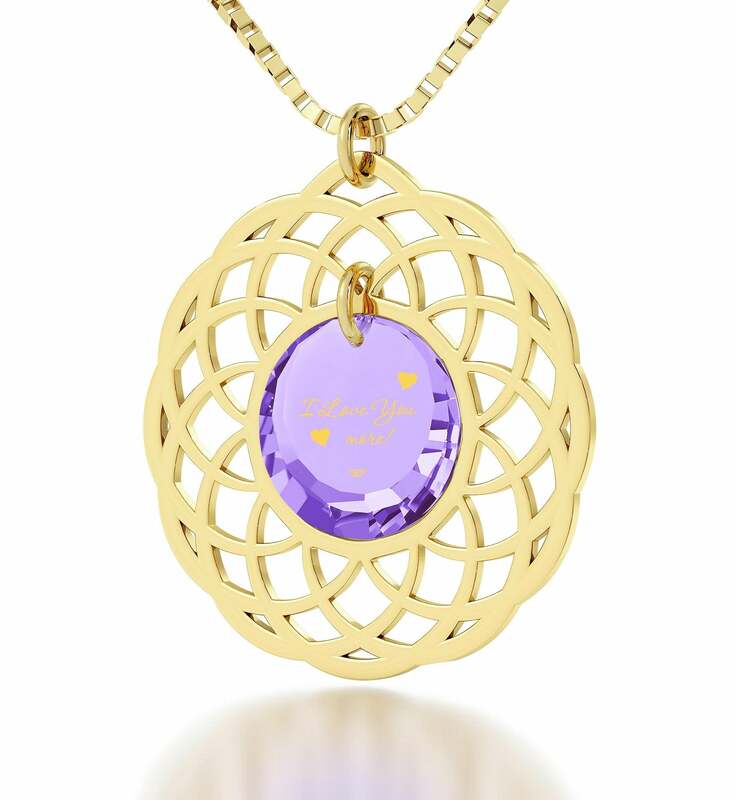 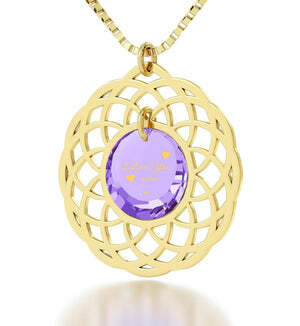 No one except Nano Jewelry is able to make such precise and detailed inscriptions – they simply can’t be copied. 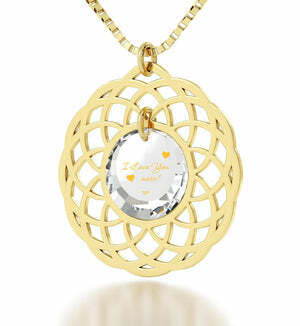 The process used to create the imprint ensures that it will stay on the stone forever, never losing its shine. 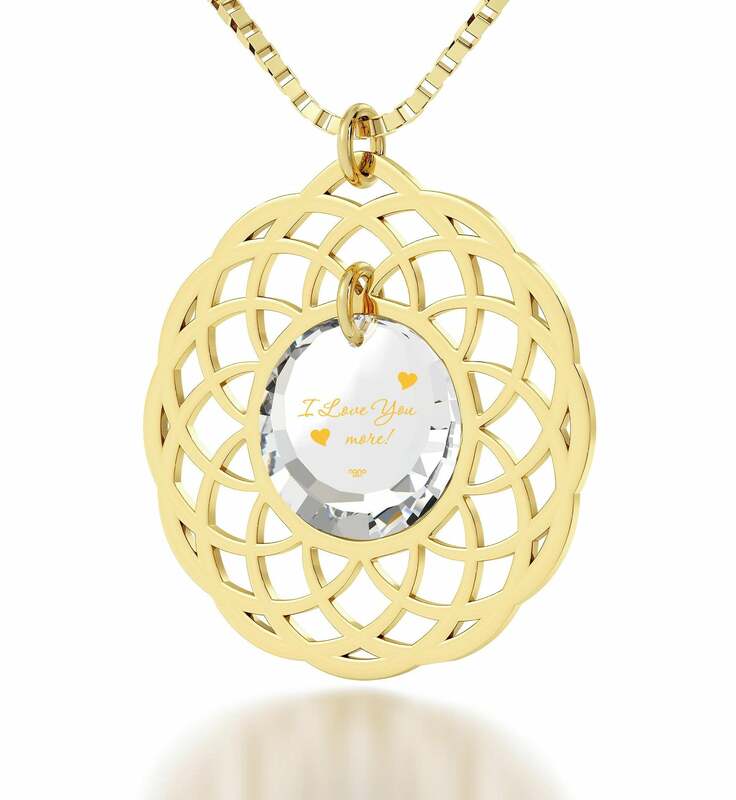 How many womens presents do you know about that are as unique as this one? 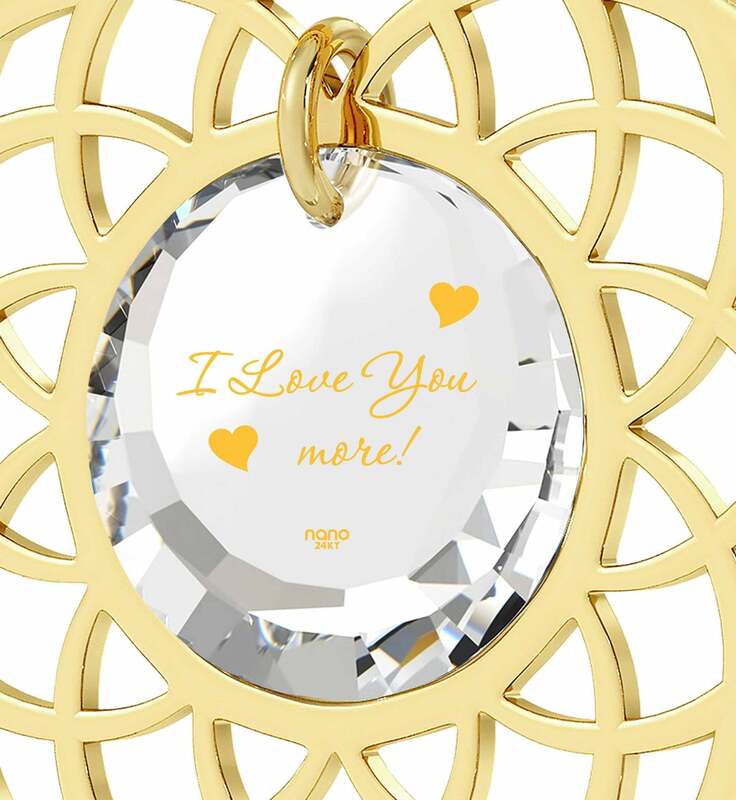 The golden letters spell out “I Love You more!” and are joined by two small hearts. 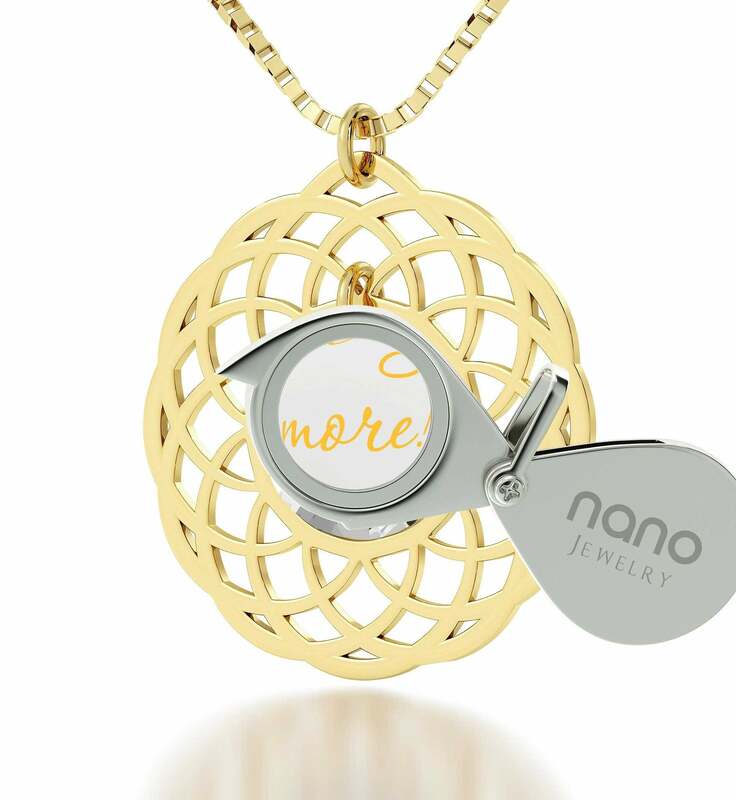 She won’t have any trouble reading the powerful message again and again thanks to a custom-made magnifying glass that’s also part of the experience. 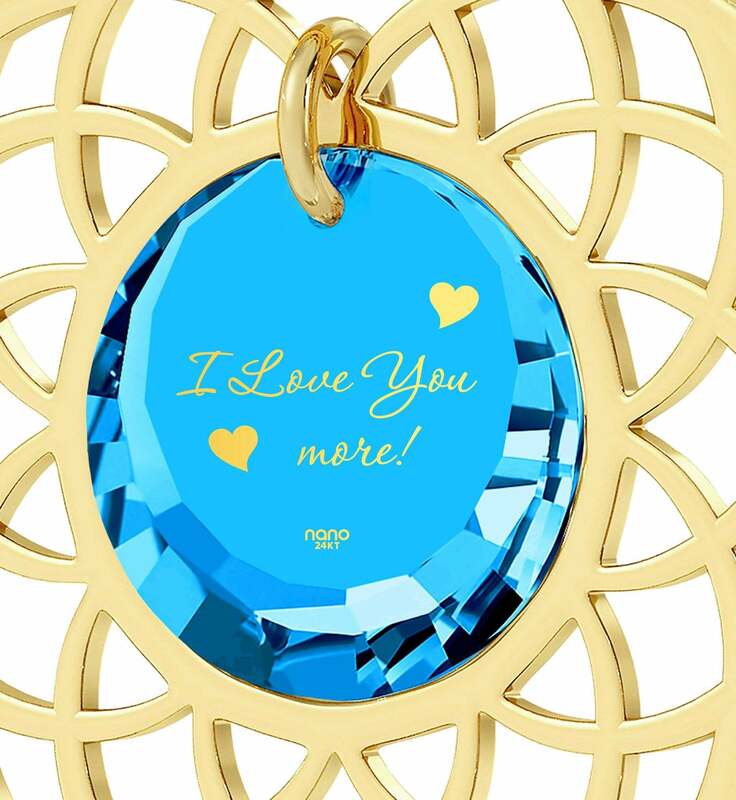 To make sure this cute present for girlfriends is as intriguing as can be, we’ve carefully placed everything inside an exquisite box she’ll want to open right away to find out what sweet treasure awaits inside. Once she does, you can bet that taking it off will be the last thing on her mind for a long while.